This is the perfect game for centers or just extra practice. 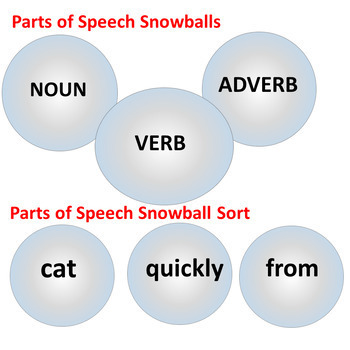 The goal is to get students sorting parts of speech. Say goodbye to boring cutting and pasting exercises! 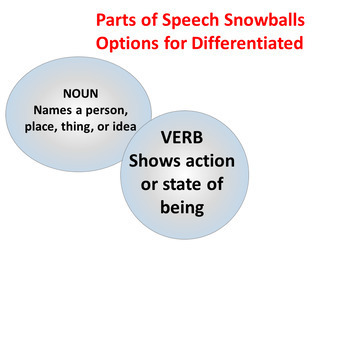 Students will be begging to sort words and have a great SNOWBALL BATTLE! This set even includes ideas for differentiated instruction! 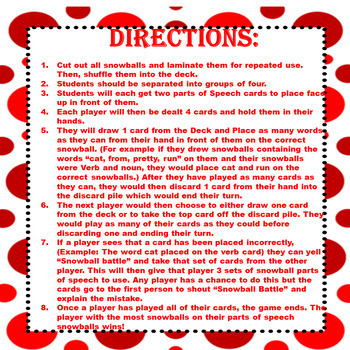 You get 8 regular parts of speech cards, 8 differentiated instruction parts of speech cards with definitions, and 18 sheets of snowball words to sort. That is a total of 108 snowball words! 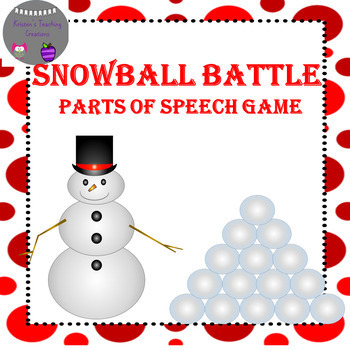 Your students will love practicing with this game!